Do you have a scientist in the making? Are you constantly answering questions about animals, plants, and the big wide world? 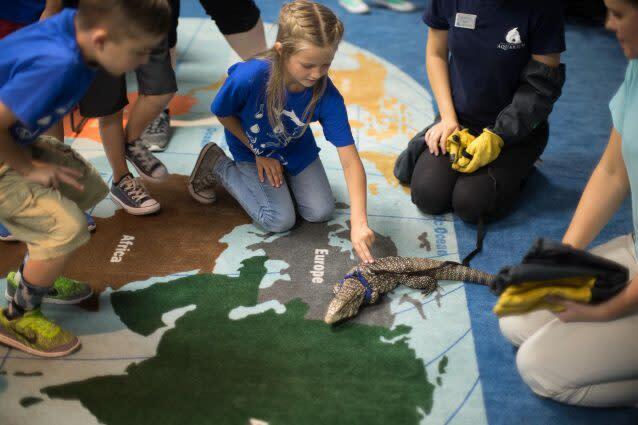 Tell your explorer to bring all the best questions to this exciting camp where they will learn about aquarium animals and their wonderful adaptations. 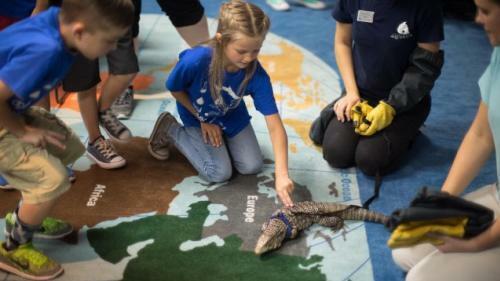 Animal encounters, active games, crafts, and behind-the-scenes experiences will prepare campers to create a wildlife habitat in their own backyards. This half day camp is perfect for animal-loving kids ages 6-7.We love spending extra time with your campers! We can provide supervised care from 8 to 9 AM in the morning, 12 to 1 PM in the afternoon (half-day camps only), and 3 to 4 PM in the afternoon. Campers will enjoy age-appropriate free-choice activities. Extended care hours must be purchased at time of registration. Staff will not be available for drop-in extended care.